Roof Wetness - Do you know the true condition of your roofs? 85% of the roofs we inspect require immediate attention! Your roof could be leaking into the decking insulation and you may not know it. We can detect issues early on before they become major and expensive problems. We can inspect several buildings or large campuses efficiently and effectively. We have inspected hundreds of buildings and helped property and facilities managers more effectively manage their properties. 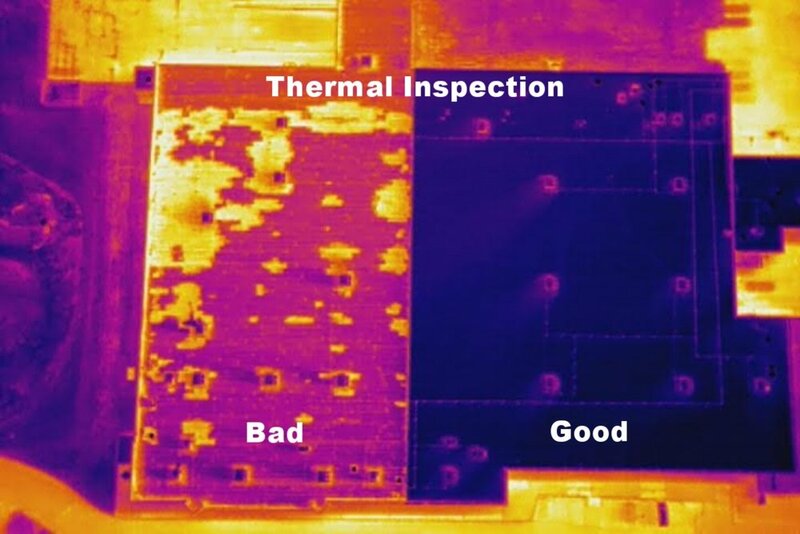 EagleHawk has found that roughly 85% of the flat roofs they have inspected show signs of wetness or water intrusion issues. When detected early, these issues typically result in minor insulation damage and are often an inexpensive repair. However, roof maintenance is generally reactive and issues are not detected or addressed until water is coming through the ceiling, and that could be several years after a problem starts. Therefore, a roofing issue that has allowed water to propagate into a large section of the roofing insulation will generally require an expensive repair or a full roof replacement. Then when you consider States like New York, have updated their energy codes requiring roofing contractors to add more insulation to the roof during a replacement to meet new R value standards, the cost of a roof replacement can become very expensive. Get your roof checked today! Energy Loss - Don't let poor insulation increase your energy bills or cause ice damage! Solar Panels - Effectively find the bad cells that are degrading your output!